As OT’s, we hear a lot about how tech is contributing to kids starting school without some of the fine motor foundation skills required for writing. While the ipad (and other screen based tools) have their place, Kids are now seemingly less interested in pencil and paper activities (as well as other fine motor play), so can move through kinder without as much exposure. Then they start school and are required to start writing letters, so naturally our body adapts and does the best it can…by finding a way to hold the pencil to achieve an outcome. Less functional pencil grasps can be fine and “do the job” in prep but this may not be the case later on. If kids start off holding their pencil in a less functional way, this can create a motor pattern that becomes increasingly difficult to change. 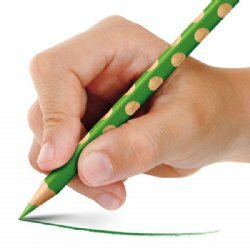 While a less functional pencil grasp does not always lead to messy or slow handwriting, it’s certainly a big contributing factor in kids who do start to experience pain or difficulty with writing as demands increase. Prep teacher already have TONNES to do in terms of making sure your child has an awesome experience at school, while teaching them how to be independent and enthusiastic learners. They will do all they can to support your child’s pencil grasp, but the bottom line is that they can’t provide the foundation skills or the 1:1 monitoring if a child doesn’t have a functional pincer grasp when they start. Unfortunately, the priority (and responsibility) is even less as children move through primary school. So what can we all do to make sure kids have the best chance of breezing through with great handwriting skills? Practice at home! Get out those tongs and therapy putty and strength en those hands. 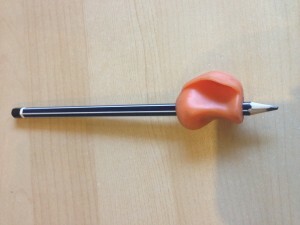 Give your kid the best chance of developing the muscles necessary to hold a pencil correctly. 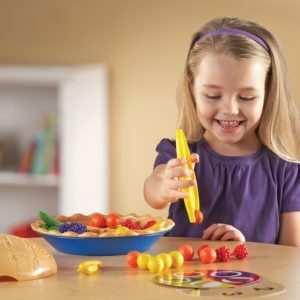 There are soooo many blogs and Pinterest pages packed with fine motor activities and games you can purchase. Also, get out those colouring and tracing books- nothing works on pencil control like pencil based activities. Explain! Tell your kids WHY you want them to hold it a certain way. Tell then it will help then to get speedy and neat one day like the big grade 6ers and prevent then getting sore hands. Kids are smarter than we often give them credit for. Reward them! Humans (even little ones) are programmed to take the path of least resistance. If something is hard, there needs to be a motivator to keep us working at it. Give heaps of positive reinforcement when you “catch” them holding their pencil correctly or have a tick chart for when they remember on their own. $2 shop prizes go a very long way. Take a photo! Print a picture of the children holding a pencil with a pincer grasp and put it on their desk (at home and school) as a reminder of what it should look like. Use a visual prompt! Sometimes a small sticker to show where the child needs to put their fingers (thumb and index) is all that is required to remind the brain that we are working on a new plan. Keep pencils chunky! Don’t over stretch kids by giving then tiny things to grasp onto. It’s just asking for that palmar grasp to creep back in. Grey leads in prep are usually those nice triangular chunky ones…invest in a set of coloured ones too! Use a catchy rhyme! Have a rap/song for the class to at least start a writing task with the pencil held correctly. I like this one from missmernagh.com (to the tune of “open, shut them”). Change the angle! Putting the wrist in an extended (rather than hooked) position can do wonders for developing much needed stability. Have a challenge where the kids do their work on the wall (stick their sheets up with some blue tack), on an easel, slope board or on the floor (maintaining “all fours” position). Not always practical for the classroom but definit ely a fun activity for home. Use a pencil grip! I put this near the end because pencil grips are often viewed as a fix all approach, which they aren’t. Don’t get me wrong, I love them and use them most days in therapy but it won’t do all the work for us. I love the crossover grips because they are easy for kinds to hold correctly. See an OT! If your child’s poor pencil grasp is persisting despite doing everything you can, it’s best to get some advice specific to your child’s needs. There are so many factors that are involved in writing, so if your child is not grasping it (pardon the pun) as quickly as their peers, come and see us. It’s always best to address it early.